Accepting Seasonal Applications! Click here to fill out an application. Temporary Office hours are Wednesday – Saturday 8:00am – 4:00pm. Closed Sunday’s until the Season starts. Please click here for an appointment. Lighting your way to Sun, Fun & Memories. Whether it is a day full of fun filled activities, or just a day to relax and get refreshed at our spacious pool/spa, we have everything you need at Lighthouse Beach Resort. Plenty of family fun awaits you at our Activities Pavilion where kids and adults can showcase their creativity and enjoy our “Activity of the Day”. 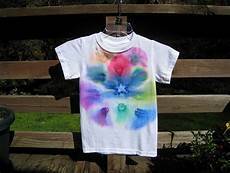 Create tye dye t-shirts for the family or that special wine glass you want to add to your collection. Our planned activities will create that vacation memory to place in your scrapbook and remember for years to come. Challenge yourself to a game of mini-golf or horseshoes. You might even get the “Catch of the Day” from our fishing/crabbing pier to talk about over the evening campfire! © 2019 Lighthouse Beach RV Resort. All rights reserved. Closed Sunday until the season opens.